Veteran soccer broadcaster Phil Schoen of GolTV graciously consented to answer some questions for the Bundesliga Fanatic. In part 1 of our interview, posted last month, Phil talked about his beginnings as a soccer fan, his career and his work at GolTV. In Part 2, our questions for Phil concentrate on his impressions of the current state of the Bundesliga. Fanatic: This has been a thrilling and unpredictable season so far in the Bundesliga. Do you anticipate any major changes in the order of teams’ standings between now and the end of the season? There are always a few teams that plummet due to injuries or bad luck, like Hoffenheim a couple of years ago. And I think that the traditional powers like Stuttgart, Werder Bremen and Wolfsburg will get clear of the relegation zone. I also believe Schalke will continue to improve and challenge for a European spot, especially now that the top six will earn berths after the Bundesliga won a spot away from Serie A.
I really don’t see how Mainz and Hannover can complete the marathon and see them dropping mid-table. In the other direction I see Bayern Munich coming together and putting at least a token challenge to Dortmund’s dominance, but I think Bayern can finish no better than second. 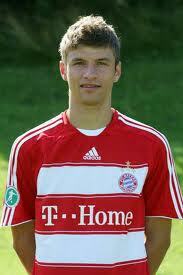 Fanatic: The Bundesliga has many exciting, talented players 23 years old or younger. Who are some of the young players that have made the biggest impression on you this season? Phil: One of the reason’s for such a good crop of young players is the money that the national federation tosses in to its development academies. It has identified and upgraded 25,000 elite academies in recent years. That’s in addition to the league-mandated youth schemes at the individual clubs in the top two divisions in Germany, that’s about $100 million of investment every year from the Bundesliga. Some of these players like Mesut Özil and Sami Khedira have already moved on from the Bundesliga, but there are several other young stars that are making their presence felt. I’ve been very impressed with the way Thomas Tuchel has worked two of them, Andreas Schürrle and Lewis Holtby, into the Mainz system. There are some players who have been around so long you forget how young they are like Bremen’s Marko Marin and Thomas Müller of Bayern. Perhaps one of the most amazing things about Borussia Dortmund’s rise is that they have relied on a large number of these young players. Nuri Sahin is getting a lot of credit, but Kevin Grosskreutz, Mario Götze, Sven Bender and Marcel Schmelzer have contributed a lot and they are all under 23. In fact, Götze’s still 18! Fanatic: Bayern Munich and Schalke 04 have made it into the knockout stages of the Champions League, while Bayer Leverkusen and VfB Stuttgart have gone through in the Europa League. Which of these teams do you think will go the furthest in their respective European competition in 2011? Phil: The competition will be stiffer in the Champions League and I don’t believe that either Bayern or Schalke are strong enough or deep enough to make it to the semifinals. Stuttgart is going to expend a lot of energy trying to stay out of the relegation zone. I think Leverkusen has the best path to go far, and I if they can avoid any serious injuries I could see them winning the Europa League. Fanatic: In North America, it seems like the Bundsliga lags behind the EPL, La Liga and Serie A as far as popularity with soccer fans. Do you agree with that assessment, and if you do, why do you think that North Americans have developed more of a following for these other leagues? Phil: It’s impossible to compete with the money and history of the Premier League, and the fact that it shares the language with the United States, it is very easy for fans to follow the EPL. Spain has brought the best stars in the world to La Liga and with the growing presence of GolTV, we’ve been able to bring the league to many more fans than might have been possible with the more limited viewing options just a decade ago. The Bundesliga has already overtaken Serie A when it comes to performance, snatching away a fourth Champions League berth at Italy’s expense. However, Serie A has a lot of history, especially with the growing number of US fans with South American heritage. However, the professionalism of the DFL and the continued development of the German youth system should keep the Bundesliga on the right track. Italy has to improve dramatically in both the organization and operation of the league if they hope to attract the best players away from the Premier League and La Liga. Fanatic: What can the Bundeslia and German clubs do to attract more followers among North American soccer fans? Phil: Bayern Munich is already a world-wide brand. There really isn’t a Barcelona for their Real Madrid, or Celtic for their Rangers, though. There are some very good teams, but no must-see derbies to build a calendar around. Opening up the pipeline for international talent, both the proven variety like Raul and the next generation like Shinji Kagawa will help. From a strictly US perspective, I think it could help if a few more proven players would realize that they will get a chance to shine in Germany rather than constantly having to prove themselves against the prejudices in England. Steve Cherundolo and Michael Bradley have already done so. Ricardo Clark is healthy and getting a shot at Eintracht and DaMarcus Beasley is waiting for his opportunity at Hannover. It can only help if more young players like Jared Jeffrey (Mainz), Joseph Gyau and Charles Renken (Hoffenheim) develop their games in the Bundesliga. Elsewhere throughout North America, Germany is one of the few European leagues where Mexican players have been able to perform at a high level. And when healthy, Paul Stalteri and Kevin McKenna have represented Canada well. Rob Friend is starting and scoring for Hertha Berlin in the second division while there are several other promising younger players in the 2.Liga like Marcel de Jong, Janeil Hoilett and Adam Straith to keep watching. The Bundesliga already has an attractive style of play. It’s not route one ball, and it’s not a lot of flopping around every time a player’s been touched. It’s just a clean, challenging game with lots of passing. And if more North American players realize they will be given a fair shot to earn some playing time that will only help increase the attention on this side of the Atlantic. We want to again thank Phil for taking time from his busy schedule to share his thoughts with Bundesliga Fanatic readers.